John Dominis Holt, the author of the Art of Featherwork in Old Hawai�i,  remembered feather kahili, capes and lei in the households of family members, emblems of their high rank as Hawaiian chiefs. When the featherwork collection of Johanna Drew Cluney became available after her death in 1978, he purchased it.� An admirer of� Aunty Johanna Cluney�s artistry, he called her the �great feather worker of our time.�  � He donated the collection to the Kamehameha Schools and it is an important collection in the Kamehameha Schools Archives. As a writer, his 1964 essay, �On Being Hawaiian,� spurred the Hawaiian renaissance in language, culture and the arts. As publisher of Topgallant Publishing Company, Ltd., Holt was a generous supporter of Hawaiian writers and of the Hawaiian culture. He was a trustee of the Bishop Museum.. Some called him a raconteur and bon vivant, others called him an elegant and artful communicator. Whatever the description, he was an erudite gentleman of the fading, privileged �hapa-haole world of the early 20th century. In his autobiography, Recollections, Memoirs of John Dominis Holt, 1919-1935, Holt conveyed his �impressions and thinking as a hapa-haole man. �Genealogy mattered. Among his illustrious European ancestors were the English Lord George Paulet and the French Lucien Bonaparte.� His Hawaiian ancestors he best explains himself. Our family identity was created and nurtured in part by those hapa-haole house odors, creating a greenhouse effect that flowed through the rooms. But the air itself was Hawaiian. The smells of the land, trees, shrubs and flowers, the appearance of rocks covered with lichen and the various smells of the seashore were all unmistakably Hawaiian. The enormous reality of our having been people with Hawaiian ancestors who had lived for eons separated and distinct culturally and spiritually from the� other people of the world was a powerful, silent determinant in our emotional attachment to the idea of being natives of Hawai�i.� Like it or not, somewhere in the complex regions of psyche, we kept this realization alive. It set us apart, linking us physically to the brilliant culture that existed here before Captain Cook, and later others, arrived to see for the first time this group of islands, its people, and their way of life. In my teens, when I first gave thought to such matters, I questioned my parents sedulously about our Hawaiian ancestors. How many did we have? What did they do? Both my parents were well aware of their Hawaiian ancestors and could easily recite the complicated names of these native antecedents. They were never particularly happy to do this, as it had become outr� to recite one�s genealogy, particularly if the names of well-known chiefs flowed out from the recitation. �Holt spent two years at Kamehameha Schools and graduated from Roosevelt High School in Honolulu. He attended Columbia University in 1943-46 never acquiring a degree. � John Dominis Holt, The Art of Featherwork in Old Hawai�i.� Topgallant Publishing Co., Ltd, 1985. John Dominis Holt, Recollections:� Memoirs of John Dominis Holt, 1919-1935.� Honolulu, Hawaii:� Ku Pa�a Publishing Incorporated, 1993, p. 370. 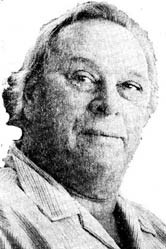 �Author John Dominis Holt, 73, dies,�� The Honolulu Advertiser, March 31, 1993.